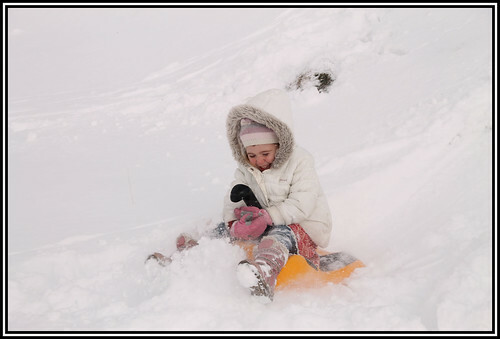 Welcome to Savoyard charm and family-friendly chalets. Ski holidays can seem like a bit of a mission when you bring children into the mix but with this handy list, you’ll be packed and ready for those blue bird days before you know it. Don’t forget as well that we’re always on hand if you’d like to find out anything specific about the chalets or Samoens before you come over. It’s hard enough packing for your standard beach holiday, but when it comes to taking your family skiing, whether you’re first-timers or seasoned skiers, you may feel like you are facing a logistical nightmare. Firstly there is remembering everything you need before you leave home and fitting it all in your luggage, then once you’re at your destination every morning you need to ensure your kids are wrapped up with all the essentials they need for a day facing the elements. 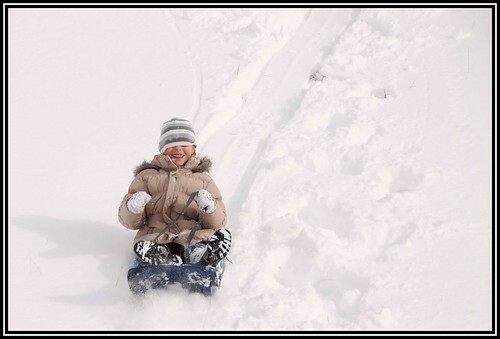 The good news is you can rest assured your stresses will be left in the powder when you see how your kids enjoy the fresh air and fun that comes with being in the mountains. Plus, we’re here to help with two handy checklists; one for before you leave home, which includes all the essentials you should pack, and one for before you leave the chalet each morning to make sure your little and big snow angels arrive on the slopes with everything they need for a fantastic day. Spring Skiing in Samoëns – 5 Reasons to Ski in Spring! Hardened skiers often approach spring skiing with caution. Preferring the colder weather and fearing poor snow, many miss out on some of the best conditions of the season. In this blog post, we’ll explain our top 5 reasons why later season skiing is often our favourite time on the slopes. Skiing and snowboarding are exhilarating and exciting activities – the incredible thrills come with an element of risk though. Just as the highway code helps reduce the risks of the road, there are steps that you can take on the pistes to help keep you safe up the mountain. When the snow is falling as much as it is this year (we’ve hit the 4 metre mark in Feb for the first time in at least 8 years – our snow history is here), excitement levels are high! Skiing and snowboarding typically take place in an extreme environment though and before you blast off in excitement leaving a cloud of powdery white stuff behind you, we thought it would be good to put some tips here to help you enjoy your time on the mountain! The weather outside is not frightful, but ski conditions are truly delightful! A webcam shot from this morning… Look at the snow! Can you see all the people? Nope – us neither! The slopes are typically quiet for January! 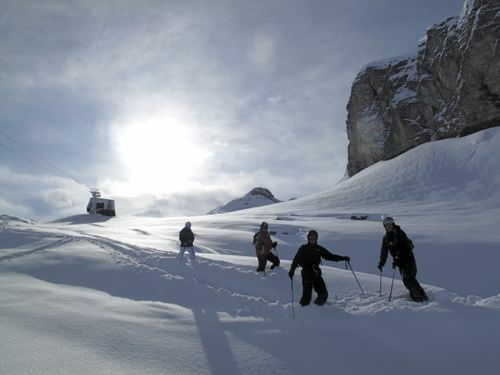 Despite being a fantastic all round resort, particularly good for families (see more on family-friendliness in our previous post) one of the strengths of the Grand Massif and Samoëns is its off-piste skiing and boarding. This winter season has started brilliantly with an abundance of snow (250cm on the upper slopes – the best week 2 snow level in over eight years!) 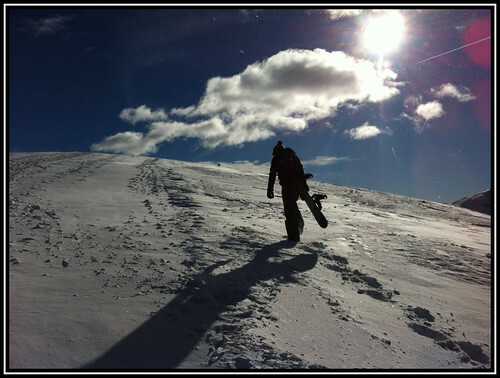 and we took to the slopes today to find some of that wonderful powder. 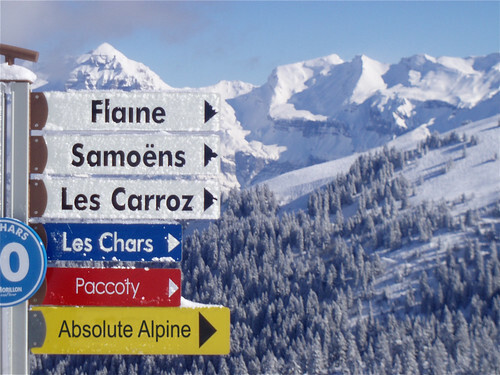 If you are looking for a family ski holiday with something for everybody, Samoëns is a wonderful destination. Yes, we may be slightly biased as we live here, but the family-friendliness was a big part of its attraction to us (the youngest member of the Absolute Alpine team – Barney – is not quite 15 months old yet). If you are looking for a more reasons to help with resort selection for your family skiing trip, we have outlined a few of the key points below to help with your decision. Winter has definitely arrived in Samoens! 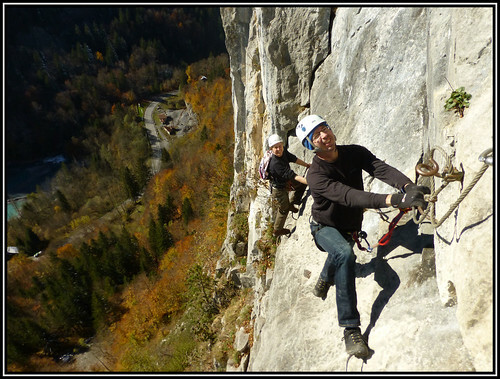 Winter is Here – Book Your Samoens Accommodation Now! It’s been an incredible start to this winter with snow falling what seems like incessantly over the last week. The village looks incredible in its white, winter outfit and there’s a huge amount of excitement brewing regarding the snow on the mountain. There’s been so much that the lifts are opening early for a weekend in Samoens this coming weekend. 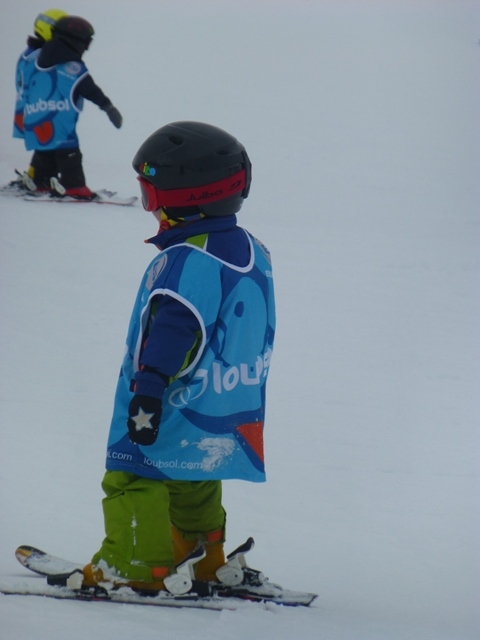 Ski Samoens – Winter is coming! With snow arriving in the village this week, the Samoëns ski season is definitely well on its way… We took the opportunity to enjoy some early winter fun although there’s still time to relish some more of the alpine autumn before winter arrives fully. Read on to see some photos of our mountain adventures this week. Believe it or not, all these photos were taken over the last three days! Are you suffering from beach boredom?